If you caught Chris Rock's Top Five last weekend you probably saw the first trailer for the new Kevin Hart and Will Ferrell team-up. 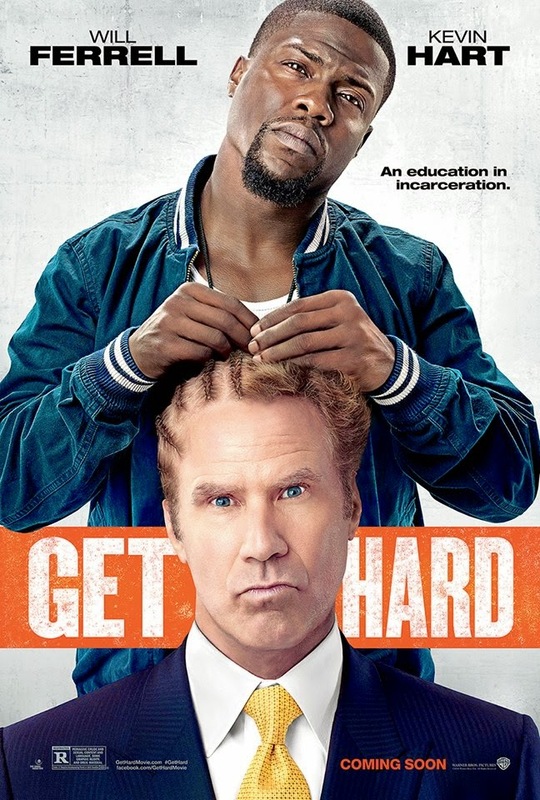 It's a nice strategic move for everyone involved as Ferrell has been absent from a solid original comedy hit since 2012's The Campaign while Kevin Hart is bubbling right below the surface of super stardom. Pulling these two together will do nothing but bolster each of their careers. I've been a Ferrell fan for as long as I can remember so I am genuinely excited anytime the guy has something new coming out and while his other 2015 feature, Daddy's Home, reunites him with his The Other Guys co-star Mark Wahlberg and will likely be of a better overall quality than Get Hard I genuinely enjoy Hart as well and am eager to see what their chemistry can bring to the table. In the film Ferrell plays a Bernie Madoff-type character who is sentenced to ten years in a maximum security prison for fraud and enlists the help of the man who washes his car (Hart) to help him prepare him for that sentence. You can imagine how this premise might unspool over an hour and a half comedy featuring these two and I am anxious to see the results of letting these guys just go at one another. Get Hard also marks the directorial debut of Etan Cohen who penned or helped pen the scripts for Tropic Thunder, Men in Black 3 and Idiocracy. Get Hard also stars Tip “T.I.” Harris, Alison Brie Craig T. Nelson and opens on March 27, 2015. Synopsis: When millionaire hedge fund manager James (Will Ferrell) is nailed for fraud and bound for a stretch in San Quentin, the judge gives him 30 days to get his affairs in order. Desperate, he turns to Darnell (Kevin Hart) to prep him for a life behind bars. But despite James’ one-percenter assumptions, Darnell is a hard-working small business owner who has never received a parking ticket, let alone been to prison. Together, the two men do whatever it takes for James to “get hard” and, in the process, discover how wrong they were about a lot of things – including each other.